To observe the city of Cardiff when the Welsh national rugby team are playing at home is to see a city at its most vibrant and euphoric. A vast sea of red washes the streets as the city shakes from the noise, a mixture of drums, song and laughter. Elsewhere, a crowd of this calibre and vigour could appear intimidating, but here the great tide of men, women and children omit only warmth and excitement as the throng meanders towards the mighty Millennium Stadium (so long as you’re not supporting England). This is the city at its best, but Cardiff isn’t a one trick pony, and it has earned its growing reputation as an exciting year-round tourist destination. So ignore any quizzical eyebrows from peers and start practising your best ‘alright but?’, because the pint-sized capital is finally having its day. Speaking of pints, there’s nothing more Cardiffians like than a good drink, and the city is suitably flooded with watering holes. Long-serving, traditional taverns like the City Arms now stand alongside a new generation of craft breweries and quirky bars, centred on the so-called ‘Cultural Quarter’ of Womanby Street, which is bookmarked by Welsh institution, the Clwb Ifor Bach nightclub. The city has invested heavily in consumer infrastructure too with the opening of St David’s shopping centre, so there are now enough international chains to keep even the fussiest customer busy for weeks. The boutiques, bookshops and tiny coffee houses of Cardiff’s snaking arcades accommodate those searching for more unique wares too. 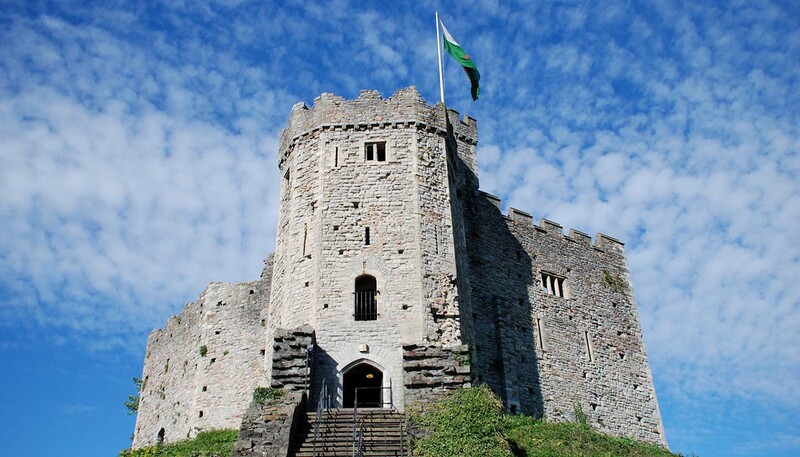 Despite all of this modernisation and ever-discussed ongoing Anglicisation, the city has worked hard to maintain its heritage, which it displays proudly, most notably with the medieval Cardiff Castle that stands proudly overlooking the city centre. If you can find time, trips to the outlying regions of Cardiff Bay and Canton provide yet more attractions, while excursions to the seaside suburb of Penarth and quaint village of Dinas Powys are equally rewarding. Cardiff may well be a pint-sized capital, but it’s definitely overflowing in the glass.